With a simple, roll-on application, this blend of essential oil and apricot kernel oil is perfect for safely applying to the skin for a variety of benefits without leaving behind an oily feel. Directions: To nurture and restore, spot-apply to targeted skin areas. Dry skin prior to use. Ingredients: Prunus armeniaca (apricot) kernel oil, Boswellia sacra (frankincense) oil, Tocopherol (Vitamin E). 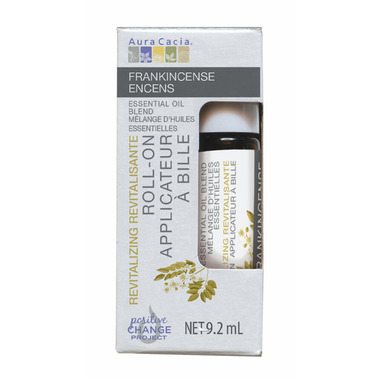 A nice affordable way to give Frankincense a try, as the pure essential oil on its own is a bit expensive.